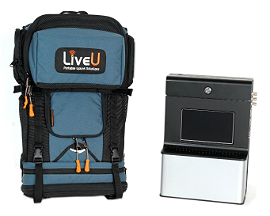 LiveU: live video transmissions over cellular networks. Hackensack, NJ, 29th October, 2013 – LiveU (www.liveu.tv), the leader in portable live video-over-cellular solutions, has announced that new, premium sports broadcaster BT Sport has selected cellular transmission technology from the company to provide innovative and exciting content to its viewers. The new sports channels – BT Sport 1 and 2 and ESPN – are available via multiple platforms in the UK. The launch has garnered huge attention in the country, with the broadcaster positioning itself as a real alternative for fans and other viewers in the premium sports coverage arena. BT Sport has created one of the largest purpose-built sports studios in Europe. Launched on August 1st, the channels broadcast a wide-range of live sports and support programming, including 38 Premier League soccer matches as well as Aviva Premiership Rugby, UEFA Europa League matches, and, from 2014, coverage of Moto GP. Additionally it broadcasts a suite of news, debate and entertainment studio-based shows featuring some of the leading names in British sports. BT Sport has been deploying LiveU’s LU70 backpack cellular transmission technology to provide coverage since launch: interviews with fans, press conferences, training ground reports and coverage of lower tier sporting events. The aim is to create a greater engagement with fans, providing an up-close-and-personal sports view. Transmitting from the field using 4G/LTE, 3G or wireless networks, cameramen can connect easily to the backpack and go where traditional OB units can’t. The signal is then fed into the production chain via a LU1000 server. The technology and service package has been supplied by LiveU’s UK distributor Garland Partners Ltd., alongside a full service package.